If you tuned into Sunday’s Superbowl like roughly 120 million other Americans, chances are you’re probably still riding the wave that was Katy Perry’s halftime performance with the sharks that stole the show. We can take a cue from the California girls, because from sea-inspired prints to lobster patterned pants, anything out of the ocean has been all the rage of late. Don’t jump the shark – find a way to channel your inner Katy Perry and make a splash with nautical themed clothing. 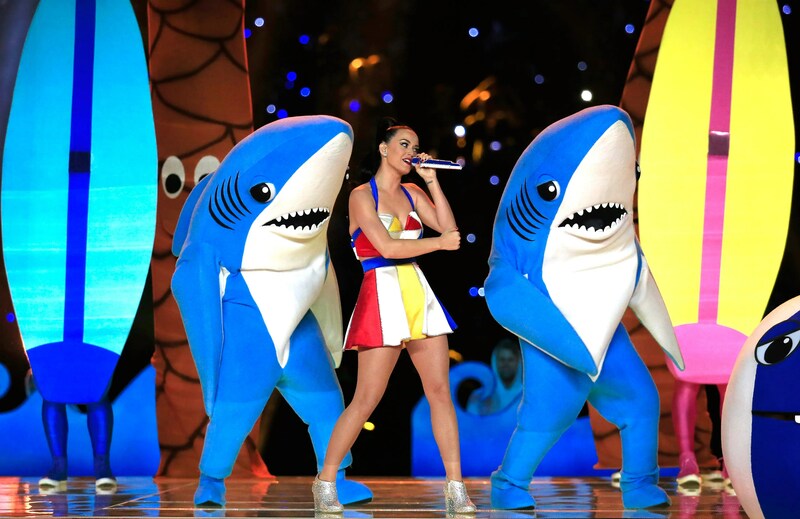 In case you missed it, Katy Perry’s back-up sharks created quite the ripple on stage. Could there be anything more lovable than a giant, adorable dancing fish? Well, the fact that you can step into shark-style with the Shark Bite Slipper might be a close contender. If you’re looking for something a little less Jaws and a little more “I am a super fashionable shark,” you can still get covered from head to toe. 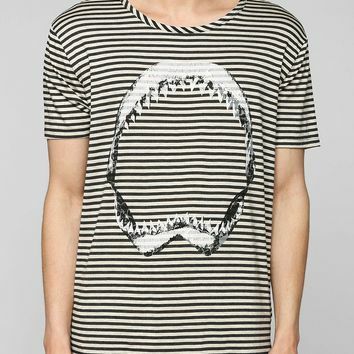 The Striped Shark Jaw Boxy Tee offers the perfect blend of cool and casual for anyone looking to take a stroll on the pier or just pay homage to a new found Katy Perry inspired love for sharks. Pair them with some Sperry’s and some navy colored pants and you’ll be all set for a day of smooth sailing fashion choices. For a perfect outfit, accessories can never be forgotten. 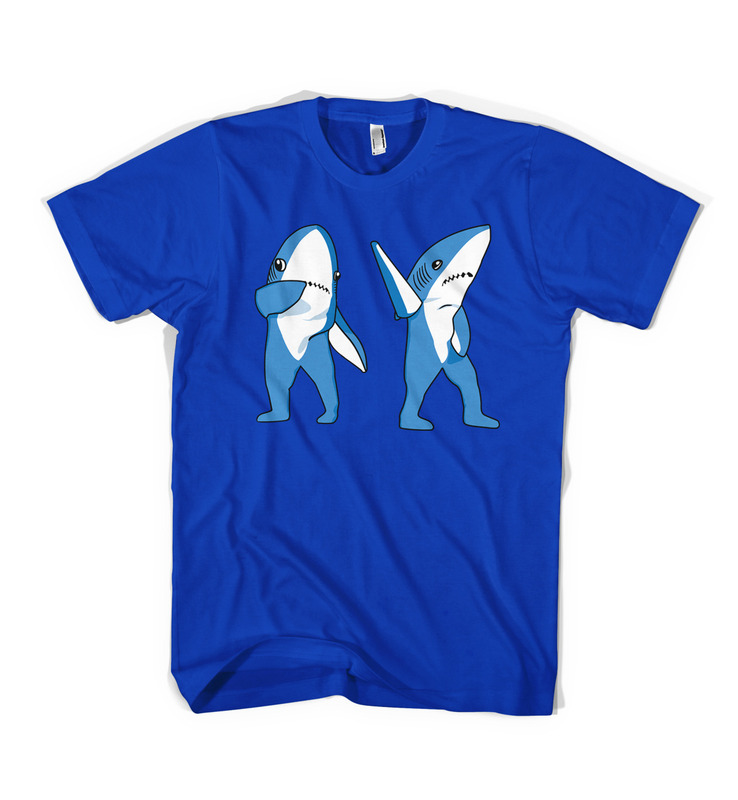 And no one will be forgetting the dancing sharks any time soon. Shark Week can be any week with a Sterling Silver Shark’s Tooth necklace. Like Aria on Pretty Little Liars, it can be dressed up with a black collared t-shirt or layered over a t-shirt to create a laid-back nautical vibe. 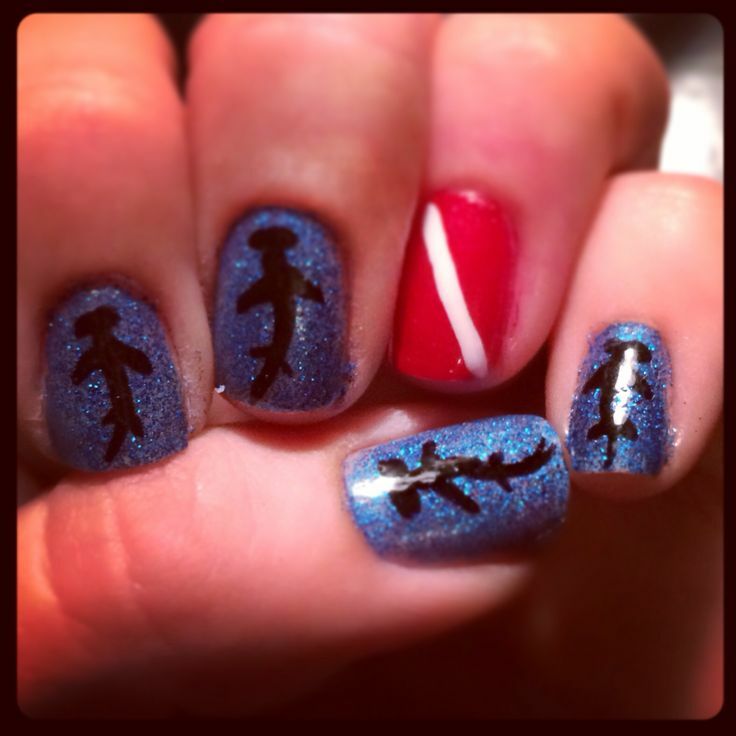 You can even pay tribute to the sharks right down to your toes with a shark themed manicure in a fresh sea green polish. You can go great white or even tiger shark, but the hammerheads really nailed it. So make sure you’re dancing, not sleeping, with the fishes by paying attention to details or making a big statement, and always remember – fish are friends, not food.